What makes a smart spider trap? Why could a Spider Trap have intelligence? 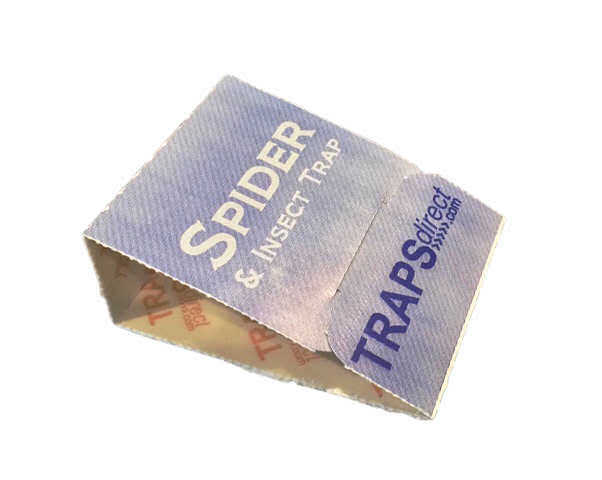 At Traps Direct our sole focus is premium quality traps, so when we looked at the market for spider traps, we found a variety of brands ( Victor, Catchmaster, Terro and many private label insect monitors) but we just couldn't find a spider trap that did everything we would expect from a spider trap. We don't think our expectations are unreasonable, in fact we tend to think of them as responsible! Seems obvious that an insect trap should catch insects, but we found that many of the legacy insect monitor manufacturers simply used their rodent glues on a paper board and called it an insect monitor! Rodent glue boards need only capture a mouse or rat, which clearly weighs more than a spider, earwig, mite or roach. Traps Direct Spider Traps utilize Ultra Light Catch an engineered trap surface designed for the lightest of insects to be captured and held in place. Ultra Light Catch ( ULC ) was designed and tested for its effectiveness on a wide variety of insects including millipedes, spiders, roaches, mites, fleas and more. The goal was to optimize the trapping surface's ability to attract and retain any insect crossing the surface. The trap field is the area of the trap with the sticky surface. In some brand's designs, the active field was found less than 35% of the spider trap's total area. Less active field means less chance to trap an insect, in the same space. The worst offender in wasted active field design were insect monitor traps... These traps have 'monitor' windows cut into the sides of the trap, to allow you to "look into' the trap.. In the same brand, we found that the 'monitor windows' were 33% of the glue area... The question to us has always been that the OPEN SIDES of the trap ARE WINDOWS! It should be a no-brainer that a product that will be on the floor of your home should not have any dangerous chemicals that could harm your children or pets, but some spider traps tout their chemical design to attract and kill spiders... We just won't sell any trap with pesticides! So a Spider Trap is going to be present in your home. No one says it needs to be a work of art, and be on display, but it certainly shouldn't be ugly, with obnoxious lettering or colors , instead we wanted a spider trap that could just co-exist with the surrounding. Additionally, the spider trap should be flexible enough to be placed just about anywhere, in multiple configurations. Traps Direct spider traps can be used as flat traps, wall edge, virtual wall, tent trap, wedge trap or even a hanging trap. The goal was to give you the flexibility to place the traps where spiders are present. Before the internet, product design was just one piece of the puzzle... Product packaging was also critical to display marketing in stores, and anti-theft controls. In fact some spider trap packaging uses more materials than the trap it holds.. Granted, if the package is cardboard, it could be recycled. In the mantra Reduce, Reuse, Recycle we tend to focus on Recycle... We decided to reduce where we could. The product doesn't need an anti theft package because it's already paid for. The box, can simply be the shipping container. All of our marketing materials are digital so no waste there! There are many additional features in the smart design of Spider-Trap-4 and we will explore them over the weeks to come. Check our bestselling Smart Spider Traps! This entry was posted in Spider Traps Blog and tagged insect monitor, smart spider traps.